What’s better than a spacious deck where you can enjoy barbeques and summer evenings? An enclosed spacious deck that you can enjoy rain or shine. Who wouldn’t want to spend a lazy spring afternoon curled in a ray of sunshine with a good book and a cup of tea? Or invite your friends over for an “outdoors” Halloween party where you don’t freeze your fingers off? Sunrooms make this possible by offering the feeling of being outdoors, while still offering protection from the harsher elements. There are a couple different types of sunrooms. Let’s look at the differences between a 3 season sunroom and a 4 season one here. Are you still a little lost about what is a sunroom? Let’s go over that real quick to get started. At it’s most basic, a sunroom is an enclosed porch. However, most people set them up comfortably with couches and lounging space much like a living room or family room. The walls are typically all glass windows or doors so that you get the feeling of being outside. In some cases, even the roof is glass to further perpetuate that feeling. Now let’s look at the differences between a 3 season sunroom and 4 season one. To the naked eye, they can look rather similar. But when you start to pay close attention you’ll begin to notice some differences in how they are built. Essentially, three season sunrooms are suitable for use when it is still relatively warm outside. Thus, they are a good option if you want to use them primarily during the spring, summer, and fall. If you live in an area with mild winters you may even be able to use a 3 season sunroom comfortably all year. Here in Ontario, however, the winters get far too cold for a 3 season sunroom to be comfortable in winter. That’s where a 4 season sunroom comes in handy. These sunrooms are designed with extra insulation so you can climate control them as you do the rest of your home. Thus, you can enjoy being in your sunroom even in the dead of winter. Imagine how pleasant it would be to enjoy a snowy winter wonderland with a cup of hot chocolate and be as snug as a bug in a rug! As we’ve mentioned the main difference between these two types of sunrooms is insulating power. Thus, more insulating materials are necessary. Three season sunrooms are typically built with a light aluminium frame. This material is strong, low maintenance, and very cost effective. However, it is not very insulating. Thus, builders often use thermally engineered aluminum or vinyl with steel or aluminum reinforcements to build the frame for a four season sunroom. This helps ensure that you’re not heating and cooling the outdoors when you use your HVAC system. Both types of sunrooms usually come with insulation in the walls, ceiling, and floor. The amount and quality are what differs. Obviously, a four season sunroom requires thicker and higher quality insulation to offer superior protection. Both types of sunrooms are made up primarily of glass windows and doors. This allows in plenty of sunlight all year round. Plus, fresh air when its warm out and you can open the windows. The construction of the doors and windows can differ slightly. It’s common to see a triple track system for opening doors and windows in a three season sunroom. A four season one often uses a monorail system instead. Both systems employ ball-bearing wheels for ease of operation. 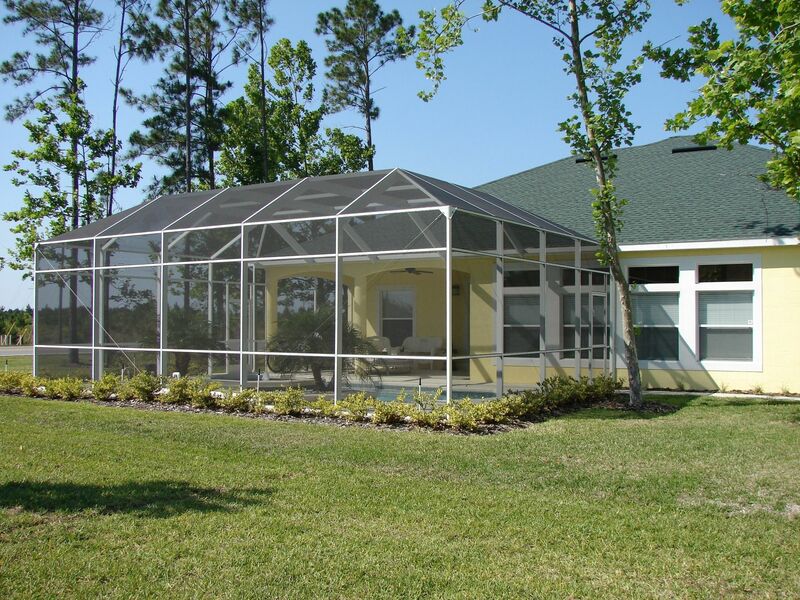 A big difference between the two types of sunrooms is the type of glass used. The walls and even the ceiling can be made up of glass. Thus, high-quality energy efficient glass is necessary to provide enough insulating power for a four season sunroom. These are usually double pane windows and may also include special coatings to minimize solar heat loss and gain. Homeowners often opt for single pane glass in three season sunrooms to take advantage of the savings. Both types of sunrooms may come with an HVAC system. However, they are designed to be used differently. The type found in a three season sunroom is intended to take the chill off a slightly cool fall evening. It won’t provide enough heat to be comfortably warm in the winter. The system in a four season sunroom, however, can be used as you would use an HVAC system in your home. You can be all snug and warm while watching the snow fall outside the windows. All of the extra insulation and higher quality materials mean that four season sunrooms are more expensive than three season ones. In fact, the cost savings is the main advantage that three season sunrooms have. Your budget and how you want to be able to use your sunroom will dictate which type of sunroom will be best for you. Four season sunrooms have a big advantage over the other type because you can use them at any time of the year. However, a 3 season sunroom is much more affordable. Many people may not be able to afford the extra insulation required. Thus, building a 3 season sunroom gives them the best of both worlds–cost savings and the use of a beautiful sunroom for most of the year. Once you decide on which type of sunroom with work best, you can start the fun phase, planning your decor! Are you ready to start building your sunroom? Contact us today! We’re happy to answer all your questions and give you a quote to help you decide which is the right type of sunroom for you!